I love this mug! I come from a big family – 5 brothers and 3 sisters and we are always getting things for my Mom to remind her who is the favorite. One year we even had t-shirts made. I added this to a box I am sending to my Mom back in Wisconsin. The mug is from a company called Got Me Tipsy #GotMeTipsy. 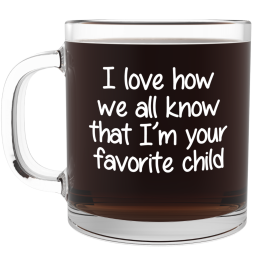 The mug itself is 13 ounces and is thick and looks very durable. The writing is in white and engraved. It can be washed in the dishwasher or by hand. This mug is made in the US. I can see each of my brothers and sisters asking Mom who she got it from even though they already know I am the favorite! I am sure it will get lots of comments and one my Mom will love. 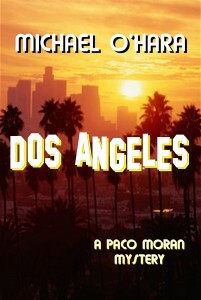 This is a great gift for Mom or Dad – you can find them the on the link below from Amazon.com. Do you have more than one item to charge? Rex and I each have a cell phone, he has a iPod and I have a kindle and we hate to wait to charge each item. 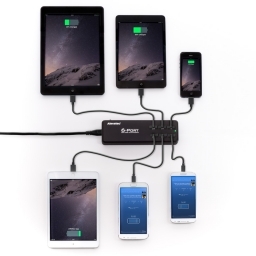 That is why the Aleratec 6 Port USB Charging Station #AleratecCharger is perfect for us! It can quickly charges battery up to four iOS/Android tablets and two iPhone/Android smartphones at once. It is great! After work you can see all of our items being charged and the past weekend my brother was visiting and he charged his phone and tablet at the same time. What a great way to save time! I also like that it is very light and we can take it with us. It fits in my purse or briefcase or Rex’s back pack. It is compatible with both Apple and Android devices, this portable, 58W charger includes six labeled USB ports that charge independently and deliver rapid and simultaneous charging of up to six devices. I am always looking for new products to try. Recently I received this Treqkr50 Solar Charger Black 5000mah Portable Charger Power Bank. 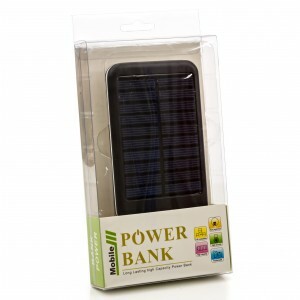 Whats different about this Portable Charge is it can be charged with a USB connections or it can be charged via the built in solar panel. The powerful 1.5A output charges your devices at high speed. The built-in electronics prevent overcharging and ensure reliable operation. The Treqkr50 solar phone charger will handle more than 1000 recharge cycles over the life of the battery. For me this is great because I am preparing for a time when we may have a disaster and no power – now I can charge with the sun! I then can charge my phone and be ready for anything. The solar charger uses the power of the sun to recharge itself – wherever and whenever there is enough sunlight to generate electricity. The limited surface area of the solar panel means it is comparatively slow to recharge itself via solar power alone, but when you need it is there. We are always looking for a little extra space – and that is why I was excited to get this Over the Door Hanger. 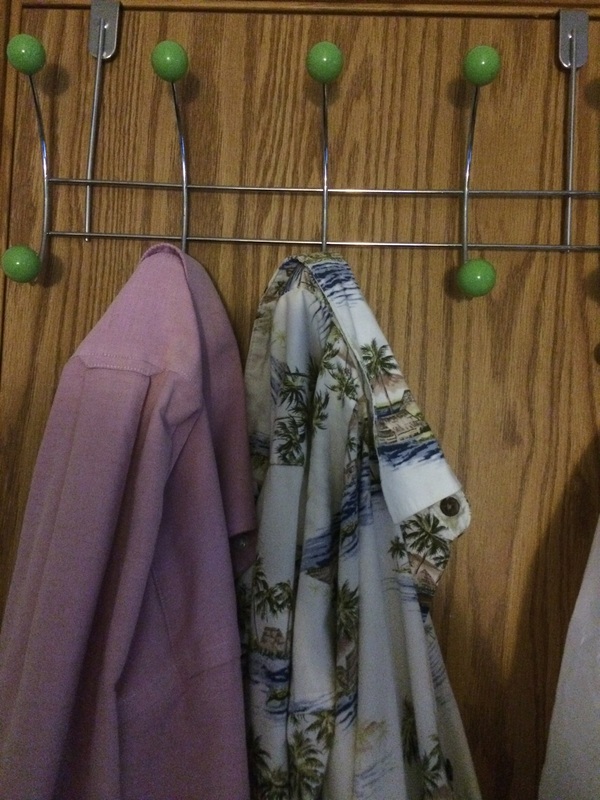 This hanger gives us a place to maybe hang your outfit or shirt that you want to wear for work tomorrow or bathroom towels. The shirts hanging their now are the ones my brother from Florida forgot to pack when he left today for home. I hope they weren’t his favorite! I like how easy the hanger is to install ~ you just place it over the top of a door and then you have 10 extra spots to hang clothes. It’s nice because it doesn’t poke through your clothes and it leaves them looking first and ready to wear. It looks like it is constructed to last a long time. I would like one of these in the bathroom to hang our bathroom towels to dry. 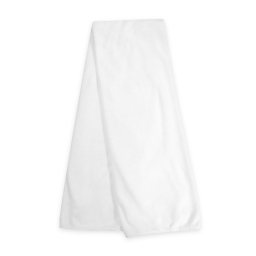 It would be great for your scarfs, coats, umbrella and caps. I have so many uses for this Over the Door Hanger. I love the color and how it keeps me a bit more organized. The Door Hanger gives me more space and helps keep things neat. If you would like to purchase your own Over the Door Hanger you can do so on the link below from Amazon.com. 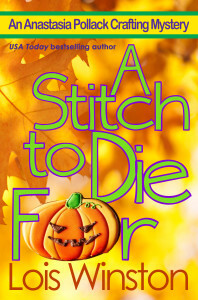 This sounds like a good book if you like to read mystery books. Don’t for get to enter the giveaway below to win $20 Amazon/BN gift card. “Dere, dere!” he growled, swirling the light around to emphasize what he was talking about. 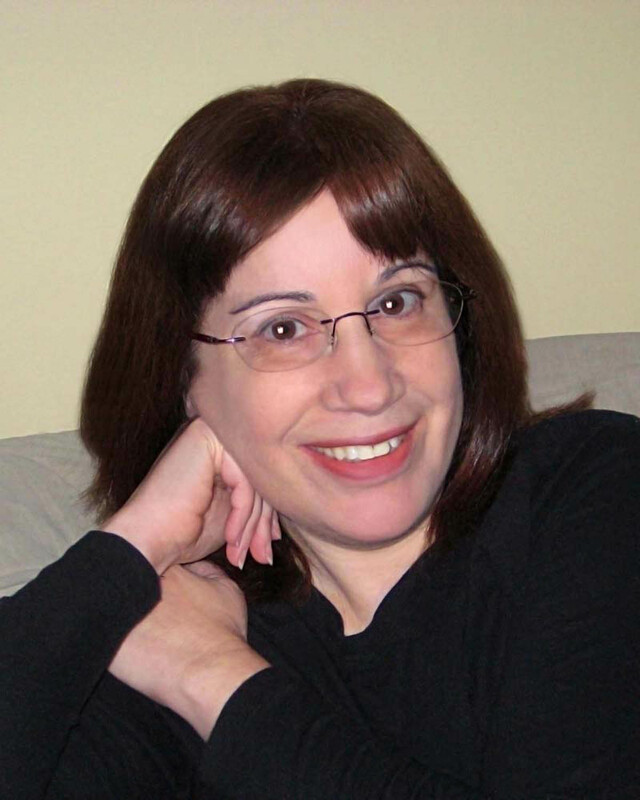 The author will award a $20 Amazon/BN gift card to a randomly drawn commenters via Rafflecopter. I love to try different product for my long curly hair. Recently I tried a couple products from Tosca Style Curls #Toscacurls. All of their products are 100 % Organic Botanical Extracts which make them smell great! The products I used were the Energyizing Therapy & Reviving Potion (Shampoo & Conditioner for Fine/Normal Curly hair). What I liked about the Shampoo was that it had a nice lather and washed out of my hair easily. It smelled really good and cleaned my hair well. It helped give my hair more strength and hydrated it. The Tosca Style Curl Reviving Potion was a very nice conditioner. I needed just a small amount of the potion and worked it through my hair and then rinsed it out. 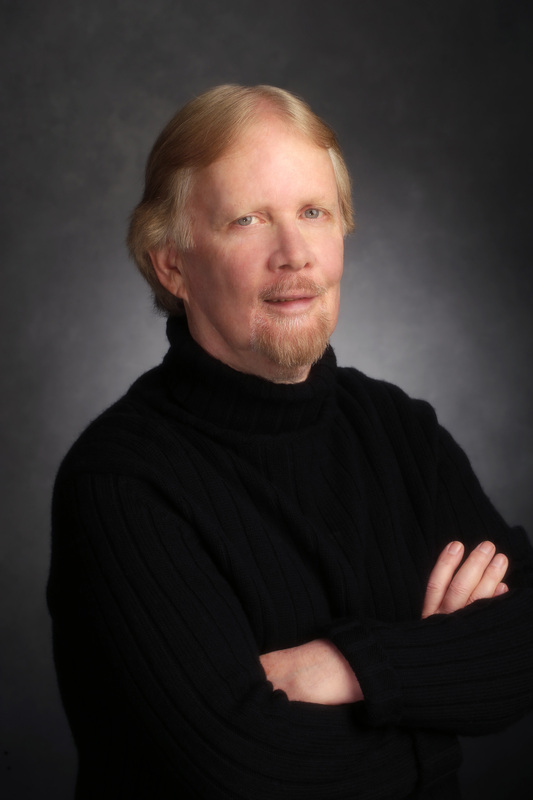 My hair was easy to comb out and had little frizz. My hair looked much curlier and thicker. My hair looks clean, more shiny and thick. I really liked both products and would try others in this line. I like that they are all organic, sodium chloride free and sulfate free. 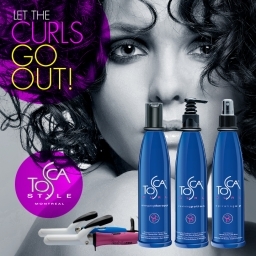 If you would like to purchase some of the products from Tosca Style Curls you can find them on the link Here from Amazon.com. 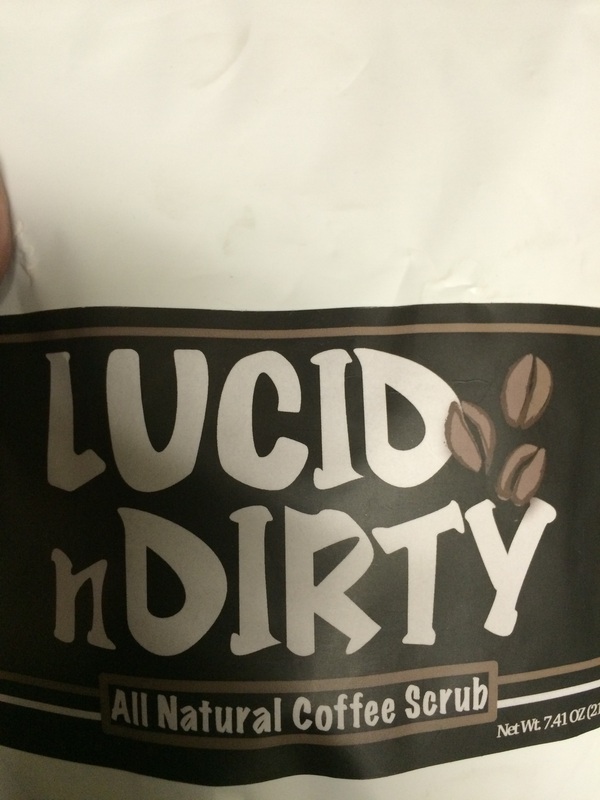 I love the smell of coffee and of chocolate so I was excited to try Lucid n Dirty. Not just for how it smelled but because it is so good for your skin. Lucid n Dirty is a luxury skin scrub empty of chemicals. It treats your skin with the finest natural ingredients. Lucid n Dirty is great at helping remove dead cells from your skin. It helps condition, moisturize and soften your skin. The ingredients are pure and simple and include Komenuka, Brown Sugar, Bath Sea Salt, Cocoa Butter, and Coconut Oil. All things I have heard of! 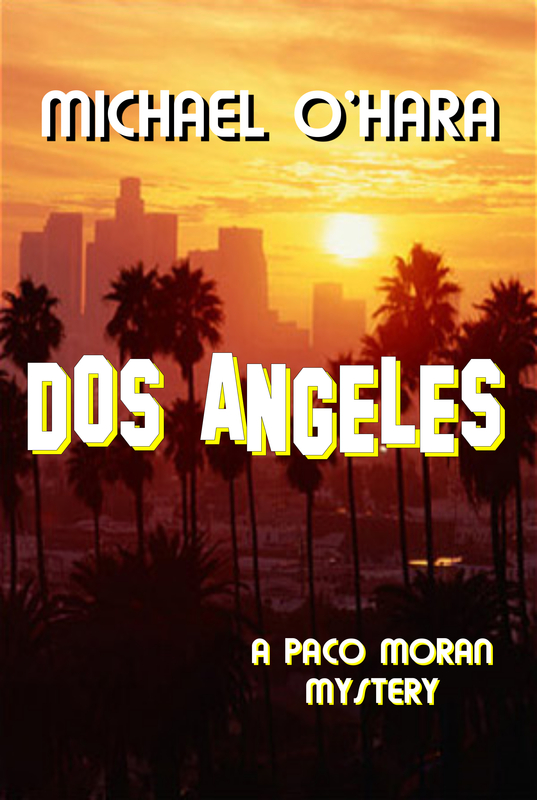 It is also made in the USA and handcrafted in Los Angeles. I found after just using it a couple times my skin is softer and more hydrated. I find it great to use in the shower. I just make sure my skin is wet and then spread the luxury skin scrub in circles on my body. It then easily rinses off and leaves my skin feeling great! 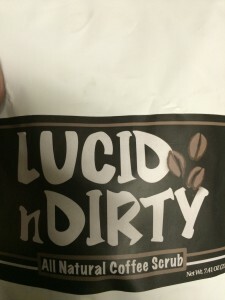 If you would like to purchase this great body scrub you can find Lucid n Dirty on the link below from Amazon.com. I have not really liked taking selfies. I hate how close they are and no one really looks good in them. Then add in taking a group of people – those never look good either. No need to worry about that any more with the ScandiXtender Selfie Stick. 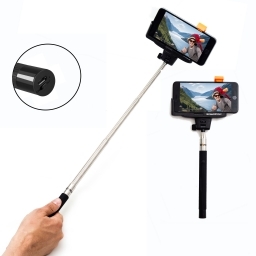 The ScandiXtender Selfie Stick extends from 18 to 81 cm. Now you can take pictures of yourself or a whole group and look great. The phone clamp also rotates 270 degrees so you can get the perfect angle. It has a strong clamp so no worries about your phone falling out and smashing. I like that the selfie stick is light weight and easily folds up and fits into my purse or bag. It will be great to take traveling and think of the great shots you can get. You can hold it above a crowd or over a cliff to get some great pictures. It works with my iPhone and Rex’s Android phone so either of us can use it. I found that it was really easy to use and could start taking pictures within minutes. It is a great product! I don’t like to use a blow drier on my long curly hair so many mornings I will leave the house with very wet hair. A regular towel just does not get my hair dry. I was excited to get this Luxe Beauty Essentials Plush Microfiber Hair Towel #luxebeautyessentials. It really is soft and absorbent. It is double sided brushed terry. It doesn’t dry my hair completely but it does absorb a lot more water than a regular towel. It is nice a big too; the towel is 23″ x 40″ ~ large enough for my long hair! I can wrap my hair in it and leave it while I do my basic routine of getting ready for work. Then I pat my hair with the towel and style it the way I normally do. My hair is much drier than when I use a normal towel. Not only does the towel help dry my hair it helps prevent it from being damaged by using a blow drier. I really love this towel.